Ace. Ace is an evil 이모 blue 피카츄 he shoots blue lightning and works with his partner (Shes comin up soon). 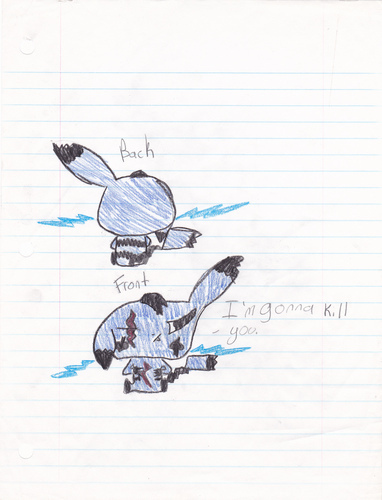 HD Wallpaper and background images in the 피카츄 club tagged: pikachu pokemon evil emo. i mean their in love! !